As the sage saying goes, giving is living. 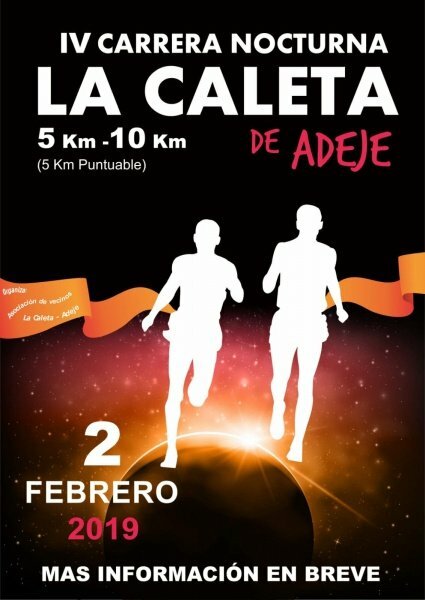 Why not live a little and give your body, sweat and tears at the 4th La Caleta Night Run? Funds raised from the race will be donated to Athletes Without Frontiers. A local residents association who are working to convert the small settlement into a European Cardio Health Space certified by the European Foundation for Health, Research and Education will also benefit from the event. The build-up to the 2 kilometre race for parents and children at 7pm begins at 12.30pm. Participants will be able to collect their race numbers, and friends and family are encouraged to join in with Zumba classes, take advantage of food trucks and enjoy a party atmosphere with music played by DJ’s. The 5 kilometre and 10 kilometre runs start at 8pm. In the 2 kilometre race parents are urged to wear a blindfold and be guided by their children. The aim is to strengthen their kinship, have some fun and raise awareness of Moving the Planet - an organisation promoting the importance of sport for all. In his book, Why Good Things Happen to Good People, Stephen G. Post, Professor of Preventive Medicine at Stony Brook University, concludes from a plethora of studies that generous behaviour is closely associated with reduced risk of illness and mortality and lower rates of depression. Join in on Saturday night and you can confidently go buy a frame for that telegram from the Queen.